Founded by Ben Starr in 2011, the 15 Network is run by the 15 Marketing Bingo network brand and officially began when the company launched Lights Camera Bingo as the first website on their network. You might also be interested in High Deposit Bonuses on Bingo Sites! From there, it’s steadily grown to become one of the most widely recognisable brands around. Every website on the 15 Network gets to use the fabulous Jumpman Gaming software. They’re now one of the faster growing networks out there and have been launching sites left, right and centre. They were once the underdog of the industry but now they’re pushing forward and making the industry their own with excellent offers. 2 What makes them Unique? 4 What Software can you Usually Find on 15 Network Sites? 6 What Could they Improve On? 7 What’s Next for 15 Network? This established 15 Network site is known for their party atmosphere, both in the rooms and on their social media. The offers, games and promotions on the 15 Network bingo sites make them quite different to other providers. They have all sorts of wonderful offerings for their players, from spin the wheel bonuses to their stellar, mobile responsive lobby. They have been consistently pushing the envelope with what their players expect. Rumour has it there’s a redesign on the horizon for this platform too. This would make a massive difference to the lobby, as it could use a bit of an update. Since the recent bonus tax, they’ve been changing up their welcome offer to accommodate for this new regulation. This has led to more spins being present on their sites, which is good for players. What Bonuses can you Usually Find on 15 Network Sites? A spin the wheel bonus that allows you to win up to 500 free spins from a £10 deposit. VIP and loyalty rewards, just play on the site and you will be in line for freebies.  As we’ve stated, depending on the site you play on you may be able to get even more bonuses and promotions. Just take a look into the T&Cs before you claim. Fluffy Favourites – Who doesn’t love this game? 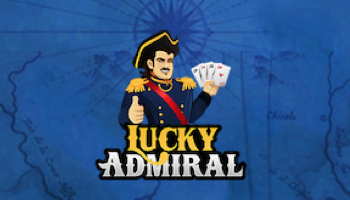 It’s a cute little slot game with a whole lot of bonus features that make it worth your while. Just watch out for the elephants for free spins. Irish Luck – This Irish themed slot game has a stereotypically green theme that will have you wishing you were in the Emerald Isle before you know it. The symbols are all Irish themed, including clovers, coins and leprechauns. Starburst – This bright and colourful slot has 5 reels and 10-win lines. You can enjoy an intergalactic experience and can scoop up to a whopping 50,000 coins. They also have Amazon vouchers on the wheel, which means you could be treating yourself online before you know it! For us, we’d rather have the free spins but it’s nice to see a prize that doesn’t have wagering requirements involved for a change. What Software can you Usually Find on 15 Network Sites? Crystal Lotus – This is another Eyecon treat. It has 5 reels and 10 paylines to play across and has tonnes of great features. You can enjoy win lines that pay both ways, lotus wilds, and an expanding wild re-spins feature. Agent Blonde Returns – This Microgaming wonder is a sequel to the incredibly popular Agent Blonde slot. It comes complete with amazing graphics, stacked wilds and a re-spins feature. This game is action packed with fun. 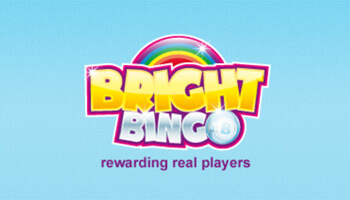 Bingo – The bingo on these sites is fab and they have some great jackpot games to take part in. With cosy bingo rooms and brilliant jackpots to play for, you don’t need to spend a lot to enjoy yourself on these sites. You can even play for pennies! These are just a couple of the most popular games on the sites, they have hundreds more for you to try out too! Remember you can access them on mobile, so don’t be shy when it comes to playing on the move. Pay Day – This jackpot game takes place at the end of each month. For a 50p buy in on your tickets, you could win your share of their £1K jackpot. VIP Free Bingo – VIP’s are treated to special free bingo games for prize pools as much as £5. Fair and Square – This simple jackpot game takes place each Wednesday and it will only cost you a penny to join in. There’s a £100 jackpot, which is great for a penny game. Lucky Stars – The Lucky Stars Room is perfect for those of you playing bingo on a budget. Tickets cost from a penny up to 5p, and prize pools will vary. These jackpot games do make for a bit more fun on these sites, though if you want to take part you may want to prebuy. As there are so many sites on the networks, the tickets can sell out quite quickly. The Mobile Experience – These sites do have mobile versions, but they’re not the best. We’d love to see a better mobile experience from these sites, maybe even an app would be enjoyed by players. Reloads – There’s an absence of reload bonuses available to players and they could add this to enhance these sites. As a networked offer, this would be an amazing way to make things better for their users. Overall, these sites are great but there’s always room for improvement for sure! What’s Next for 15 Network? It seems that this network is moving more and more towards slots and further away from bingo. With more slots bonuses and seasonal promotions, it’s becoming apparent that they’re catering to the needs of their players. They generally have a monthly promotion that changes regularly and recently they’ve been very slots focused. This could mean that the entire network will be focused more on slots as time goes on. This would be good if it means more games to play on and promotions, but it might also mean the bingo rooms end up getting a bit sparse. We hope they’ll be able to balance this to make sure their roomies are getting the most from their time online. With potential updates on the horizon for these brands too, we can see them getting a lot bigger and better for players. This will no doubt generate some more interest and create some buzz in the rooms again. We’re looking forward to seeing if there’s going to be more of an emphasis on mobile players going forth. Although this may not be the largest or most established network of sites, they’re doing some pretty great stuff for their players. 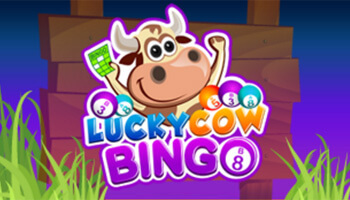 You’ll be rewarded with exciting offers and get to play on some of the best games around, it’s a pretty perfect group of bingo sites. Check out our recommended 15 Network bingo sites to try them out for yourself! Related: see our list of best Dragonfish bingo sites!